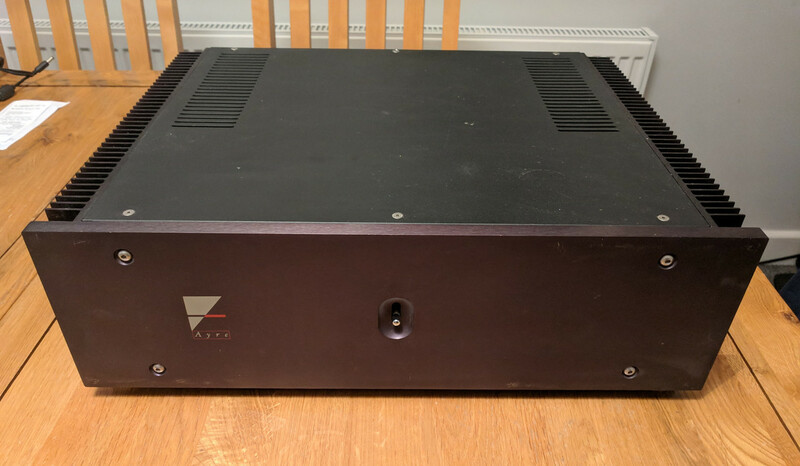 Ayre V3 MkII power amp. I am the second owner. It’s the first piece of Ayre kit I have owned and I’ve been really impressed. It’s a great sounding amp. Power output: 100Wpc into 8 ohms (20dBW), 200Wpc into 4 ohms (20dBW). Nice condition with some light marks on the front. Seen it and heard it at Nick's place. Lovely piece of kit, and like all Nick's stuff, well cared for. MOSFETs have a musical ability that really needs to be heard. Interesting amp - dont be put off if you havent heard much about the brand as Ayre are a top class U.S. outfit. They are, at a pinch, class leaders in balanced technology. Bump. Should be able to deliver to Kegworth if needed. 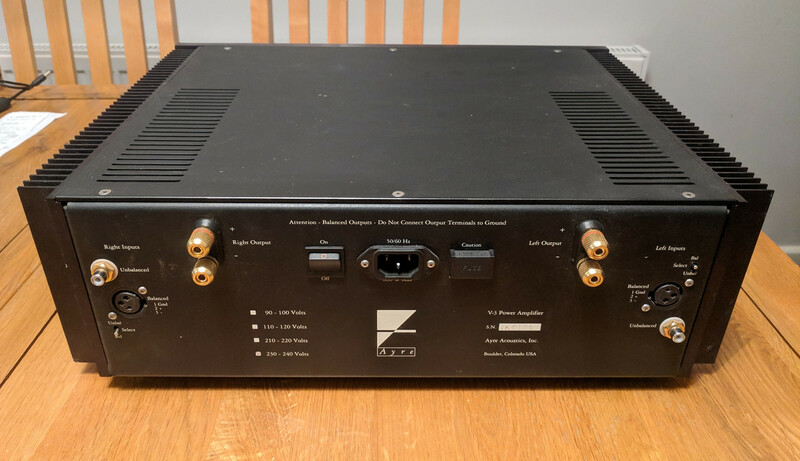 Pre-Amp: Oppo HA 1 head amp. Pre Kegworth bump an thanks Vince. 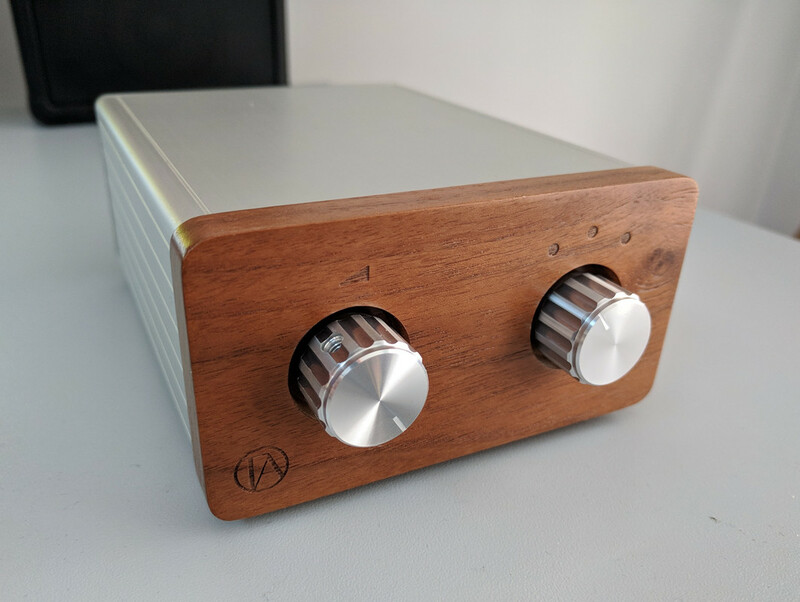 Having owned a few brands of power amps over the last year or so (Karan, Moon and currently Aesthetix) the Ayre really is a great sounding amp for the money. I found it to be very open sounding with excellent imaging in my system. The next step up the ladder to the V5 would be over twice the money. I can throw in a Tisbury passive pre if you are interested for an additional £50.